From our friend Trevor Lane on the situation where elephants and other game have been poached using poisonous chemicals around Hwange National Park. 1) The total number of elephant poisoned stands at 103 – 84 at Makona/Jozivanini, 8 in Ngamo Forest and 11 at Guvalala. This is the final count of an extensive aerial survey conducted by WEZ ( Wildlife and Environmental Society of Zimbabwe) in conjunction with Parks. This bears out the figure reported by Parks, and can be taken as a true reflection, give or take a few. 2) The Minister, Saviour Kasukuwere and the Parks staff need to be commended on their reaction – strong and uncompromising, and they have been very transparent and did not try to conceal anything. Sentencing has been swift and satisfactory – one poacher arrested on a sunday got 15 years on the following wednesday! A very strong message has been sent out! 3) The Minister has also set up a an advisory trust of respected and well known conservationists and businessmen to advise and help in Hwange, and the results are already coming in – vehicles donated etc. Strict controls being introduced on equipment. 4) The Guvalala poaching lead to the arrest of a well known elephant and rhino poacher, who has been politically protected in the past. He has fingered his Chinese middleman under interrogation. We wait to see what materialises in this case! 5) I find it unfortunate that the media has made headlines out of wildly exaggerated stories of the number of dead elephant, with no bearing on what is the reality on the ground. They tend to quote an unreliable source out of Harare, known for wildly sensational stories and Parks bashing, which generally have little relevance to the truth. This is where the 300 poisoned elephants suddenly came from! I feel the media should make a greater effort to report factually, and use more reliable sources. 6) There was also a sensationalised incident of a Parks scout being sentenced to death. The point here was that this was not an anti-poaching field operation, but the suspected unarmed poacher was shot ( 10 shots) in his own house while trying to escape a beating during interrogation. The team then left the body behind and fled – not exactly straight forward. 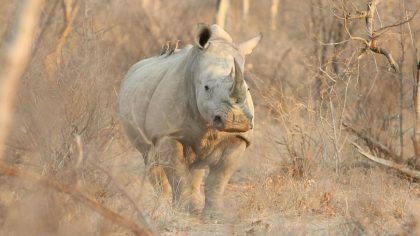 7) Zimbabwe still has a shoot to kill policy for armed poachers, and this has been reinforced by the Minister. But it is not an open ticket to shoot anyone suspected of poaching. All royal game and elephant poaching offences now have a mandatory 9 year sentence – one poacher just received 9 year for a pangolin.